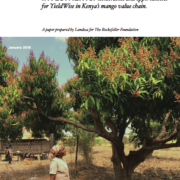 The lack of recognition of women’s contributions to the sector’s economyand to food security undervalues the economic and social benefits they provide. It also marginalizes women in the implementation of sectoral policies and increases their vulnerability, especially in small- scale capture fisheries which are already marginalized within the fishing industry. The inclusion of women’s roles and contributions in research and practice in the sector is therefore essential to addressing inequality. 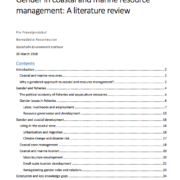 This paper summarizes analyses of a global literature review on women in fisherfolk organizations. 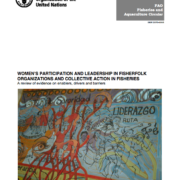 The aim of the study was to identify positive examples and lessons learned by pointing to the drivers – as well as the enablers and entities identified in the literature – that have a key role in fostering increased women’s participation and leadership in collective action in fisheries. 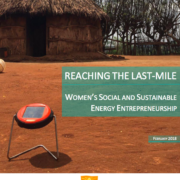 With the support of the US State Department’s wPOWer program, Solar Sister partnered with MIT’s Comprehensive Initiative on Technology Evaluation (CITE) to study last-mile customer preferences and evaluate the reach of Solar Sister’s women-centered distribution chain. 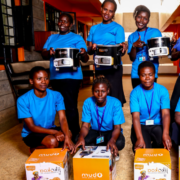 MIT conducted over 600 interviews in Tanzania with both Solar Sister customers and non-customers. This report highlights the findings. 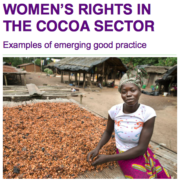 Empowering women cocoa farmers not only has a positive impact on the lives of women, men and communities, but also has a business advantage.